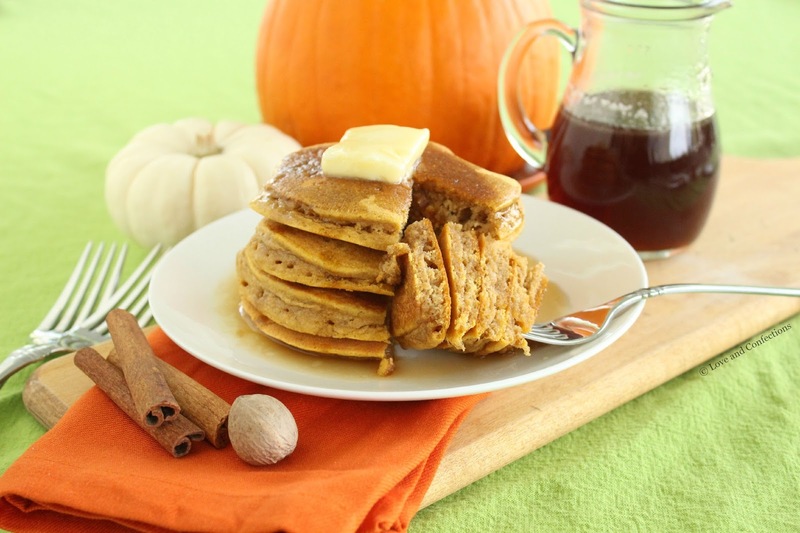 Pumpkin Pancakes are the best way to start a Fall morning off right. Top them with warm Bourbon Maple Syrup to make them a little extra special. Welcome to #PumpkinWeek day 2! 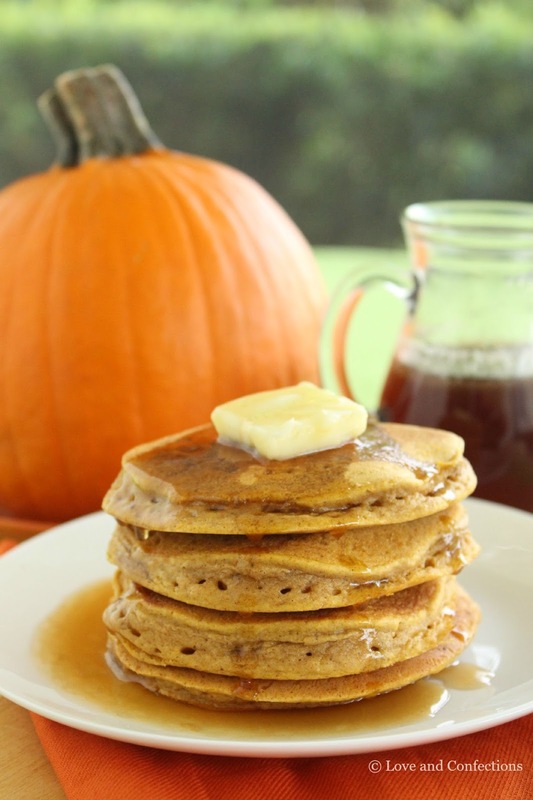 19 Bloggers will be sharing 65 pumpkin-filled recipes over the course of the week. Be sure to come back every day to see all the delicious creations – from muffins to cakes, cocktails, breakfast baked goods, savory pastas and stews, and gluten-free recipes too. You can also find these great recipes and more on Love and Confections’ #PumpkinWeek Pinterest Board! I absolutely love breakfast foods and pancakes are one of my favorites. 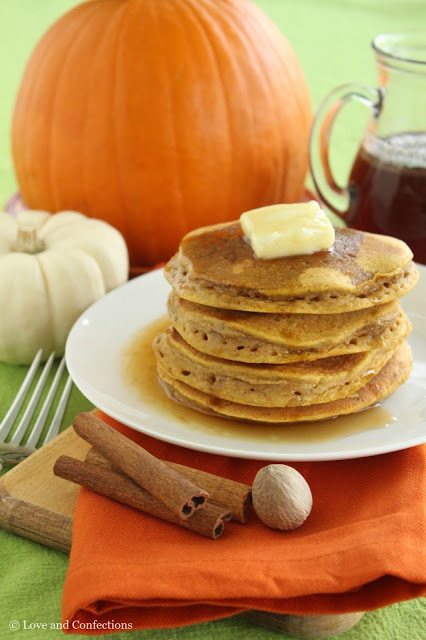 These pancakes are kicked up a notch with pumpkin puree, pumpkin spice and a bourbon maple syrup. 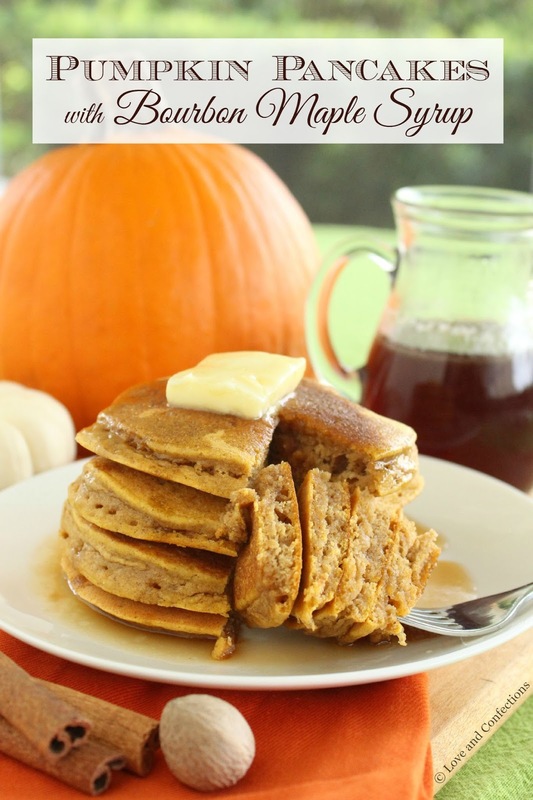 My daughter loves these pancakes too – sans syrup, of course. Admittedly, pancakes are a regular breakfast food around here. It is one of my go-to breakfasts that I know my daughter will eat. I usually pair them with some yogurt and fruit, and we have a great start to our day. I have started using White Whole Wheat Flour in a lot of my baking, and that is what I used today. The Whole Wheat Flour really soaks up the liquid, so you might need a bit more milk if your mixture looks too dry. If you substitute regular White Flour, the measurements for liquid will change, and I have not tested those measurements yet for this specific recipe. To make my mornings easier, I need to make another batch just for the freezer, so I can have them ready on busy days. Skillet Cinnamon Apples and Salted Caramel Sauce or Semi-Homemade Pumpkin Butter would also be good choices for toppings if you didn’t want the bourbon syrup. You can also top the pancakes with toasted pecans or walnuts – both would be delicious! 2. Heat griddle or skillet to medium-high and either use butter or nonstick cooking spray. 3. 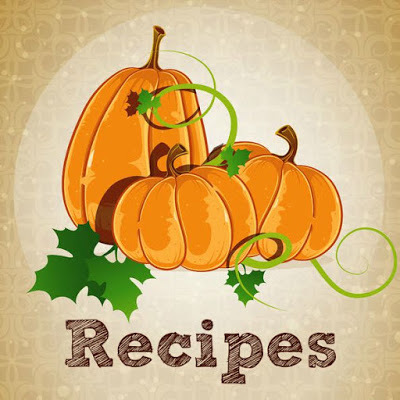 In a small bowl, whisk together the Milk, Eggs, Pumpkin, and Vanilla Extract. Pour into the dry ingredients and fold to combine. Add in the melted Butter and combine. The Whole Wheat Flour really soaks up the liquid, so you might need a bit more milk if your mixture looks too dry. This recipe is using White Whole Wheat Flour. If you substitute regular White Flour, the measurements for liquid will change. 4. Turn the heat to medium, and cook your pancakes, about 1/4 cup per pancake. I prefer to use a disher or ice cream scoop, so all my pancakes are uniform in size. 1. In a small saucepan, warm the Syrup and Bourbon together until it is thin and viscous. Pour over warm pancakes and serve with a pat of butter. Enjoy! Gluten Free Pumpkin Snack Cake from Cupcakes & Kale Chips. Heart Healthy Pumpkin Chili from A Day in the Life on the Farm. Pumpkin Cheesecake Milkshake from The Redhead Baker. Pumpkin Horchata Cocktail from The Crumby Cupcake. Pumpkin Hummus from Culinary Adventures with Camilla. 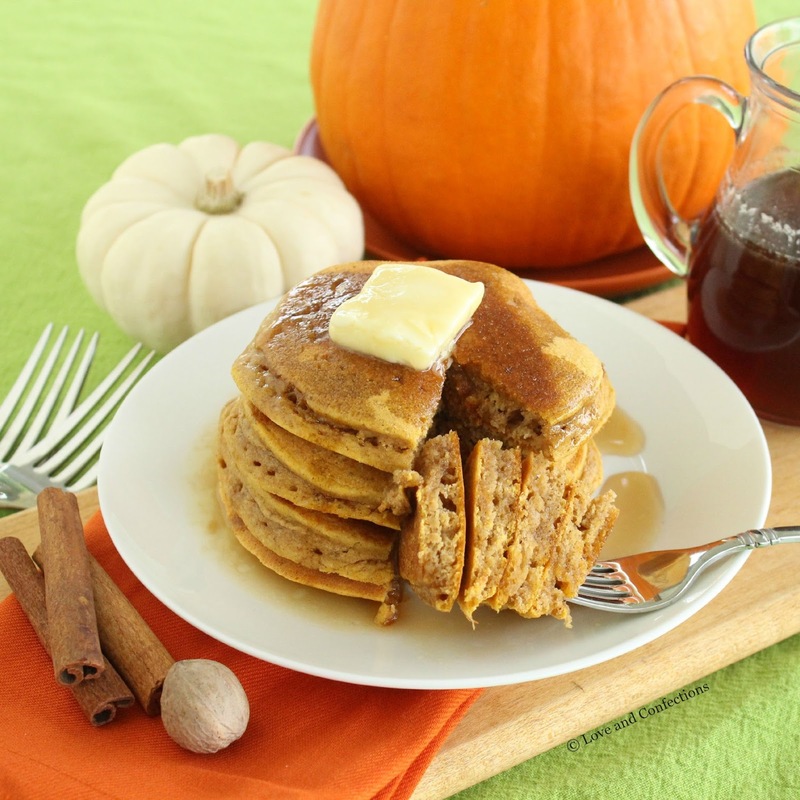 Pumpkin Pancakes with Bourbon Maple Syrup from Love and Confections. Pumpkin Seed Granola from Gluten Free Crumbley. Savory and Spicy Pumpkin Soup from Feeding Big and more. Slow Cooker Pumpkin Spiced Latte from Making Miracles. Warm bourbon maple syrup….That's the start of a great day!! The texture of those pancakes looks so fluffy!! These sound like a wonderful start to the day.